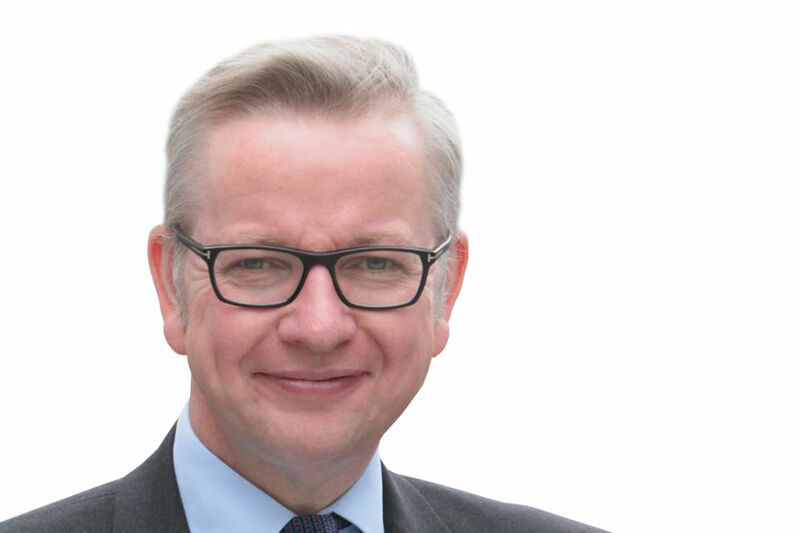 Education Secretary Michael Gove speaks to the Royal Society. Ladies and gentleman, I feel a little nervous in these surroundings. I am a journalist by profession, a politician by accident and a historian in my dreams. I am, therefore, in all too many ways, poorly equipped to address an audience of the nation’s most distinguished mathematicians and scientists. But, in advancing the argument I want to make today, history is perhaps more of an aid than it might at first appear. For some, like Karl Marx, the driving force in history was always economics. More recently some have argued that history is driven by evolutionary biology or geography or simple demography. But the truth, as I suspect everyone in this room knows, is that history is driven, above all, by mathematics and the power it gives us to understand, predict and control the world. The emergence of the first, truly great, Western civilization, in the scattered city states of Ancient Greece, was intimately connected with the first systematic thinking about reason, logic and number. Although Pythagoras himself is a figure shrouded by myth, the Pythagorean revolution he and his disciples set in motion was the prelude to the astonishing flowering of classical philosophy which laid the foundations of the Western world. On those first foundations men such as Euclid and Archimedes devised a means of making sense of the world which enabled their contemporaries, and successors, to master it. Greece bequeathed her mathematical heritage to Rome and the achievements of the Caesars, their imperial highways, feats of engineering and centralised accounts, were all the fruits of mathematical knowledge. Rome’s fall was the prelude to Islam’s rise and again mathematical innovation was the leading indicator of historical progress. While Western Europe was sunk in a Dark Age of dynastic squabbling, pagan aggression and superstitious poverty the Islamic world flourished, advanced and subdued its foes while also nurturing a series of mathematical thinkers responsible for transmitting wisdom and generating great historic breakthroughs. Whether it was the establishment of Arabic numerals as the principal method of mathematical notation or the invention of algebra, Arabic and Islamic culture was the world’s forcing-house of progress for centuries. Europe only caught up again in the sixteenth century, but when we did it was with a burst of mathematical innovation which once more moved the world on its axis. Galileo and Descartes authored advances in mechanics and geometry which were hugely ground-breaking. They were followed by the arguably even greater geniuses of Newton and Leibniz. Newton, the greatest President this society has had - so far - was the godfather of the Enlightenment, mankind’s great period of intellectual flowering, the liberation from ignorance on which our current freedoms rest. In the nineteenth century, the greatest mathematicians were Germans - like Karl Friedrich Gauss and Bernard Riemann - reflecting the shift of intellectual innovation, and economic power, to central Europe. In the twentieth century, the flight of mathematicians like Kurt Godel from a fascist Europe sunk in a new barbarism to a new world of liberty and promise again presaged a fundamental shift in economic, political and intellectual power. In the last few generations, it has been the breakthroughs of mathematicians and theoretical physicists working in the US that has allowed mankind to progress from only the vaguest and most approximate understanding of our world to precise quantitative models. Richard Feynman has described the precision of quantum mechanics as like being able to measure the distance from New York to L.A to the nearest hair’s breadth. And for those of us navigating journeys even more fraught and perilous than an odyssey across America - such as driving from West London to Westminster without hitting roadworks - the precision of GPS satellite technology can guide us - and all thanks to the extraordinary precision of relativity’s equations. And if we want mathematics to guide us into the future, it is easy to see in which direction history is currently moving: East. The nations of East Asia, large and small, are now in the position the Islamic world was a millennium ago or Europe enjoyed during the Renaissance. Individually, they now increasingly resemble the England of the eighteenth century, the Germany of the nineteenth or the USA in the twentieth. They are growing rapidly industrially and technologically; integrating more and more of their people into the global economy; investing more and more in maths and science; producing the engineers, technicians, scientists and inventors who will shape tomorrow’s world. While Europe is chronically indebted, its currency under strain, its growth anaemic, and Continental universities in relative decline, Asia has a massive trade surplus, holds the fate of the dollar in its hands, enjoys surging growth and is developing schools, technical colleges and universities which are dramatically outpacing our own. At undergraduate level, over half of degrees in China, Singapore and Japan are awarded in science and engineering subjects - compared to around a third in the UK, EU and US. The number of science and engineering degrees awarded in China more than trebled between 1998 and 2006. By comparison, those awarded in the United Kingdom and the United States remained relatively flat. At postgraduate level, Asia now awards 1 in 4 of all engineering phds - almost as many as the EU and the USA combined. In the last 10 years for which we have figures, the number of scientific and technical journal articles published by Chinese researchers has almost quadrupled. In the UK, the increase has been just 3%. This focus on STEM is more than just academic - it translates into tangible, real-world innovations. Between 1999 and 2009, the number of patent applications by Chinese residents increased by over 1,000%. In the UK, it fell by a quarter. For any politician anxious to ensure the next generation enjoy opportunities to flourish in an economy that is growing, in a nation that is confident and in a society that believes in progress, there is no escaping the centrality of mathematics and science. The imperative for maths and science education only grows as the strategic significance of cyberspace becomes daily more apparent. A point John Reid heavily underscores in his Cyber Doctrine speech today. Our capacity to innovate - vital to our security and resilience - is utterly dependent on education. And when I see the pace at which other countries are transforming their education systems to give more and more of their students mastery in maths and science, it only reinforces my determination to reform our system here so our children can have access to the essential knowledge which truly empowers. If we are to keep pace with our competitors, we need fundamental, radical reform in the curriculum, in teaching, and in the way we use technology in the classroom. Unless we dramatically improve our performance, the grim arithmetic of globalisation will leave us all poorer. If we’re going to reverse our decline, we need to begin by looking at what is being taught. So we launched a National Curriculum Review to survey the academic evidence, investigate international best practice, and work with field-leading experts to come to a conclusion on what our children should be taught. In maths and science, our Review Group has already been engaging with many of you. But we want this process to be as open, collaborative and informed as possible. So in August, we will share draft Programmes of Study with you all publicly for discussion and collaboration. And we will publish the evidence that informs our judgements so that everyone can see why we have made specific proposals. Through this collaborative, transparent process we hope to develop a National Curriculum that enjoy widespread support from the subject communities. And it’s in that spirit of transparency that I also want today to clear up some misconceptions that have arisen. The new National Curriculum is an exercise in intellectual liberation, not an attempt to prescribe every moment of the school day. We must revive a crucial distinction between the National Curriculum and the School Curriculum. The purpose of the National Curriculum is to set out the essential knowledge that children need to advance in core subjects. We then want to liberate teachers to decide on pedagogy - how those core subjects should be taught - and also to decide on what other subjects, or activities, should make up the whole school curriculum. In maths and science, the Expert Panel is focused on fundamental scientific knowledge and essential principles that are not subject to controversy and change every month or year. There are many issues and controversies - from embryo experimentation to energy conservation - which great teachers can use, as they wish, to create engaging and inspiring lessons. But there is no need to spell out in detail how these issues should be tackled in a National Curriculum. Indeed, filling it with topical subjects only encourages a constant tinkering and rewriting which we should stop. The National Curriculum should provide a foundation of knowledge. Great teachers, inspired by love for their subjects, should make the classroom come alive. So, what should we concentrate on? One of the lessons from the international evidence is that in East Asia there is much greater focus on fundamental number concepts, fractions and the building blocks of algebra in primary school. They have minimum standards that they aim to get practically all children to reach so they have a firm foundation for secondary. It may be, therefore, that we will adopt the same approach and have much more emphasis on pre-algebra in primary and remove data handling and some other subjects from the primary curriculum. We should also bear in mind that in Shanghai, they have daily maths lessons and regular tests to make sure that all children are learning the basics. Improving the foundations in primary would allow us to be more ambitious in the secondary curriculum. Should, for example, calculus play a bigger part in the secondary curriculum? Obviously not everybody needs to study the more advanced calculus that is contained in the A level syllabus, but it seems to me genuinely bizarre that in the 21st Century so many children leave school essentially trapped in a mathematical world predating Newton and Leibniz, essentially unaware of the development of calculus. And what about statistics? There are a vast array of issues that people are confronted with in daily life - from health scares to claims about the effect of drugs to financial news - which require statistical understanding. But studies have repeatedly shown how poor our collective understanding of such issues is. In its present form, GCSE maths does not enable children to understand conditional probability, normal distributions or randomness. Should this be something we should look to change? And on a more fundamental level, it’s clear that not enough young people secure a basic level of competence in maths. Every year, about half of our pupils leave school without even a ‘C’ in maths GCSE. But it’s not just those pupils who give us cause for concern. We still send powerful signals throughout our education system that it’s somehow acceptable to give up on maths. Critically, we allow students to abandon any mathematical study after 16, in stark contrast to other developed nations. The ‘maths gap’ that most pupils now experience after the age of 16 means that even those who did well at GCSE have forgotten much of the maths they learnt by the time they start their degree or a job. ACME’s most recent figures on the take-up of mathematics among 17 year-olds is particularly worrying. The latest figures are for 2009. Of the cohort of 660,000, three quarters were in full-time education. 286,000 students (c. 40% of the cohort) did A levels. 14,000 took maths to AS level. Another 72,500 took full A level maths and of those 72,500 another 10,000 also did further maths. In total that amounts to only about 85,000 pupils (just 13%) of the cohort doing A or AS maths, with only about 2% taking it to a high level. Yet at the same time ACME’s research shows that about 330,000 16-18 students per year need to study maths and statistics at a level beyond GCSE (180,000 to a ‘physics or engineering’ level and another 150,000 to a ‘social science’ level). So our schools system is failing to provide anything like the number of suitably equipped students to meet the needs of Higher Education. Only half the population has even basic maths skills, we are producing only about a quarter to a third of the number of pupils with the maths skills that our universities need, and economic trends mean that this gap will, unless we change, get wider and wider with all that entails for our culture and economy. That is why I think we should set a new goal for the education system so that within a decade the vast majority of pupils are studying maths right through to the age of 18. Of course, I am not prejudging the Review. But there are strong arguments for introducing concepts earlier, for covering some topics more thoroughly, and for making certain subjects compulsory for longer. It is a debate worth having, and one I hope many of you will choose to be involved in. Of course, if we’re going to change what we want children to be taught, we need to support those who will have to teach it. Our White Paper, entitled ‘The Importance of Teaching’, made clear that maths and science are national strategic priorities and that we would target support to improve education in these subjects. We have allocated £135 million over the spending review period to support sustainable improvement in science and maths education in schools. A major part of this will focus on ensuring we have a teaching workforce that is ready to deliver. So we’ll improve the supply of teachers with specialist subject knowledge in chemistry, physics and maths, through “conversion” courses that enable graduates of related disciplines to acquire the specialist subject knowledge necessary to train and serve as teachers in these subjects. We’ll improving the skills of existing science and maths teachers through support for CPD - such as that offered by the national network of Science Learning Centres - where the Government is working in partnership with the Wellcome Trust and others in the universities and industry. And we’ll offer high-achieving graduates, especially those in shortage subjects like science and maths, significantly better financial incentives to train as teachers - up to £20,000 for graduates with first class honours degree. Trainees will receive the bursary in monthly instalments in their training year, as currently happens. We’ll also introduce Teaching Schools - modelled on teaching hospitals - to spread outstanding practice across the education system. Brilliant maths teachers in our best schools will be able to work across their school’s partnership mentoring and supporting those in weaker departments. We are also committed to the existing programmes that have proven their worth over the past few years. For instance, the performance of the Further Maths Support Programme has been outstanding. The growth in the number taking Further Maths A level is testament to their success. We protected the FMSP in the Spending Review and I can guarantee that their funding will not be cut for next year. However, this is not enough. They want to expand. That is why today, I have teamed up with CityAM to make an appeal to financial institutions in the City - put some of your profits into supporting the FMSP over the long-term, and ideally make it financially secure and not dependent on the temporary and easily lost affection of politicians. Since the 2008 crisis, the financial pages have been full of laments from rich bankers and others bemoaning the lack of mathematical understanding among the population and among political leaders. OK, let’s do something about it. Although I personally strongly support the FMSP, I will not, many of you will be pleased to hear, be Secretary of State for ever. The health of organisations such as FMSP should not depend on a politician’s whim. It would be better if it had its own independent sources of money and I think many people would agree that the City has both an obligation and an incentive to help. Allister Heath, the paper’s brilliant editor, has today launched an appeal to his readers. Let’s hope this succeeds. I’m sure Adam Smith would approve - it would not only be a moral good but it would also be in the long-term interests of the City. In addition to the debate over what is taught, and the issue of who does the teaching, we also need to think about how the teaching takes place. So as well as reviewing our curriculum and strengthening our workforce, we need to look at the way the very technological innovations we are racing to keep up with can help us along the way. We need to change curricula, tests and teaching to keep up with technology, and technology itself is changing curricula, tests, and teaching. ItunesU now gives everybody with an internet connection access to the world’s best educational content. Innovations such as the Khan Academy are putting high quality lessons on the web. Extremely cheap digital cameras and the prevalence of the internet allow teachers to share best practice and learn from errors. Brilliant scientific publications such as Science are building their own ecosystems of educational content - resources that a central Government department could never hope to produce and maintain. Computer games developed by Marcus Du Sautoy are enabling children to engage with complex mathematical problems that would hitherto have been thought too advanced. When children need to solve equations in order to get more ammo to shoot the aliens, it is amazing how quickly they can learn. I am sure that this field of educational games has huge potential for maths and science teaching and I know that Marcus himself has been thinking about how he might be able to create games to introduce advanced concepts, such as non-Euclidean geometry, to children at a much earlier stage than normal in schools. The Department for Education is working with the Li Ka Shing Foundation and the highly respected Stanford Research Institute on a pilot programme to use computer programmes to teach maths. We have not developed the programme - we are just helping them run a pilot. Stanford say it is one of the most successful educational projects they have seen. These developments are only beginning. They must develop on the ground - Whitehall must enable these innovations but not seek to micromanage them. The new environment of teaching schools will be a fertile ecosystem for experimenting and spreading successful ideas rapidly through the system. Overall, our vision for the future is clear. We are empowering teachers. We want schools to be more responsible to parents instead of to politicians. We are reducing bureaucracy as fast as we can. We want to reverse the devaluation of the exam system. We want a National Curriculum that acts as a foundation of core knowledge - not a detailed blueprint for lesson plans. And we unequivocally believe that maths and science education are at the heart of improving our society and our economy. 29 June 2011 First published.